...and can you make it more like icon.... ??? That was one of the questions I got for the first sketch. And here I am back with a new sketch. A little less developed, but this time with a figurative theme, not just pure fantasy. Retained is the style which is like a mosaic or fingerprint. The motif does not get more ICONic: An eye. A tideous process to work with so many lines, but it sure has something to it since everything gets a unique shape. The choice of an eye was not coincidental considering what they do. Or what they aim to do. So what do you say, @everlove? @@@quinneaker? We're liking this eye design a lot! After seeing some of the other entries, we think it would look great combined with some elements from a few other contenders (will make a post very soon with a bit more inspiration). Would you be willing to share your design file with other Steemians for a collaborative effort? Of course the choice is yours. Ohhhh, I like this version even more. I like the definition and ease of color combination, and that you retained the fingerprint feel. So glad you're participating in this project @funkit! Glad we're doing it together! Cool and definitely look like its on something. 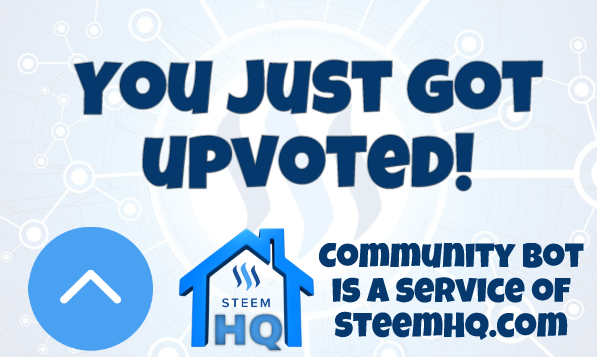 you just received a 16.27% upvote from @steemhq - Community Bot! @funkit, sorry to see you have less Steem Power. I would love to be able to do digital art! Could you make a tutorial introduction? !